Additional Info: Richard Bunbury was appointed as Organist and Music Director at St. Dunstan’s Episcopal Church in Dover, MA. His youthful musical experiences include playing saxophone, flute and guitar before being smitten by the organ during a stint as assistant organist and choral scholar at Christ Church Episcopal. He attended Armstrong State College, where he received a BA in Music Education (1977). Moving north for longer than he anticipated, he continued his studies at New England Conservatory earning MM degrees in Musicology and Organ Performance (1980). Richard subsequently accepted the position as Organist and Music Director at St. Theresa of Avila Parish in West Roxbury, where he has served the last 32 years, as director of multiple choirs, handbell ensembles, and music teacher in the K-8 parish school. Curiosity about things theological led him through a MA degree in Pastoral Ministry at Boston College (1993), while an abiding desire to mentor future teachers and performers got him through a Ph.D., in Music Education at the University of Massachusetts, Amherst (2001). Richard is passionate about conducting, having directed numerous choral and instrumental ensembles, including the Northeast Jr. District Festival Boys’ Chorus, Choral Art Society, the Parkway Concert Orchestra, the Simmons College Chorale, the Harvard-Radcliffe Summer Chorus, the Keene Chorale and Chamber Singers; he was also an orchestral conducting fellow at the University of Hartford. He enjoys an active recital career as an organist and harpsichordist, and is the organ soloist on the CD “Unchanging Love” (Albany Records). He currently serves on the boards of the Old West Organ Society, AGO Convention Boston 2014, and the Organ Library at Boston University. 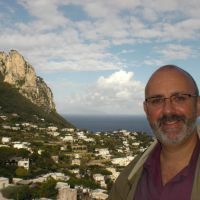 On the academic side, Richard started teaching Music History and Music Education at Boston University in 2007, having held a similar position at the Boston Conservatory. He regularly presents workshops and research at professional conferences; his articles appear in reference works and journals, including the New Grove Dictionary of Music and Musicians, New Grove Dictionary of American Music, Encyclopedia of 20th Century Composers and Musicians, Assessment in Music Education, The American Organist, and Pastoral Music. He is representative for Musicology of the College Music Society and Northeast representative of the American Musicological Society. Richard was contributing editor for Sacred Christmas Music (Sterling Press, 2008) and writes reviews for The Boston Musical Intelligencer and Artsfuse.org. Outside of the professional world, Richard relishes being in nature, whether hiking, swimming, camping, or just being quiet.